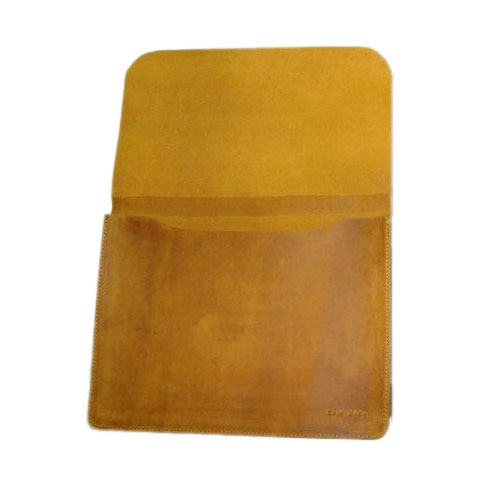 We are offering Macbook Envelope Cover to our client. "K Designs" is a sister concern of a parent company "Indian Art Industries" which are started in 1957. Manufacturing Ladies handbags, Belts, Wallets, Travelling goods, etc. in genuine leather. Under the able stewardship Of Mr.B.M.Kharat & Miss Kavita Kharat today it commands a respectable presence on the global scene. Enjoying a highly motivated & skilled workforce on machines imported from Germany, Italy, and Czechoslovakia. Making each piece as per the designs and specification of the buyer and to the international standards,export-oriented they have come to expect of us a true example of our professionalism is our time-based production performances which export-oriented thrust is fully backed up by a competent and on-time production ethic. The future holds bright prospects not ones to rest on our laurels us intent to consolidate our formidable presence and export in to other international markets too. We have plans on the evil for the introduction of other leather items like corporate gifts, Apparels etc. At K Designs, We do not manufacture we create. The difference is obvious in each and every leather article we make.